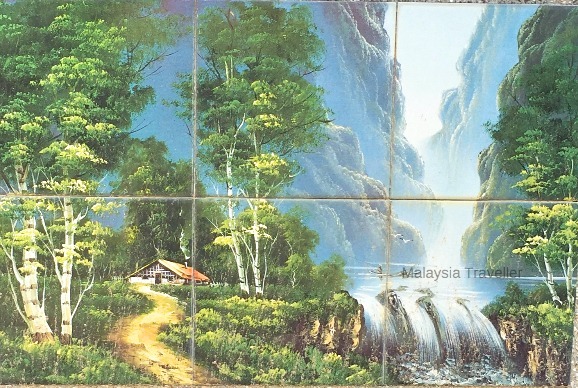 There are hundreds of Chinese Cemeteries dotting the landscape in Malaysia. Some are huge, like the Kwong Tong Cemetery in Kuala Lumpur or Bukit Cina in Melaka, Malaysia’s oldest cemetery, while others may consist of just a few scattered graves. They are usually sited on carefully selected hillsides or slopes where the principals of fengshui are taken into account. They tend to be located away from townships or on the outskirts of urban development but some have been swallowed up as the cities have grown. 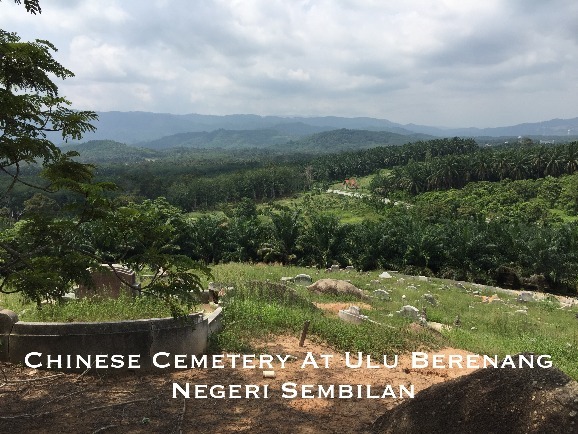 This cemetery in Negeri Sembilan (Perkuburan Cina Ulu Berenang & Broga) is typical where the graves overlook a particularly fine view, probably a better view than the deceased enjoyed while they were still living. 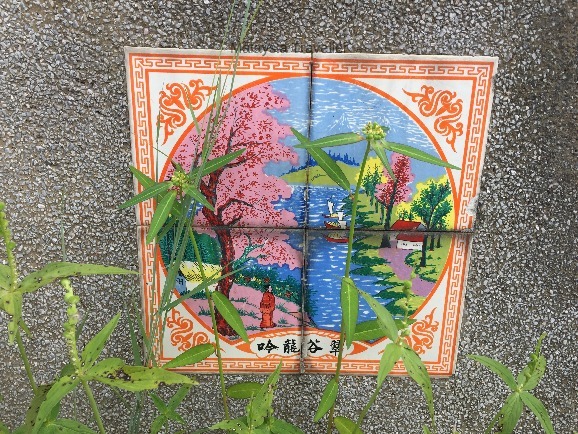 Many of the graves here are decorated with tiled murals showing idealised scenes, perhaps the sort of heavenly place that we hope awaits us in the next world.